We offer the best acrylic, Lucite, and plastic cleaner and polish that is on the market today. With over 24 years in the acrylic business we have tried many acrylic cleaners and narrowed it down to this selected one. If you read the information we have provided on this static eliminator and fine scratch removing product it will assure you that it is the best priced and highest quality polish on the market. 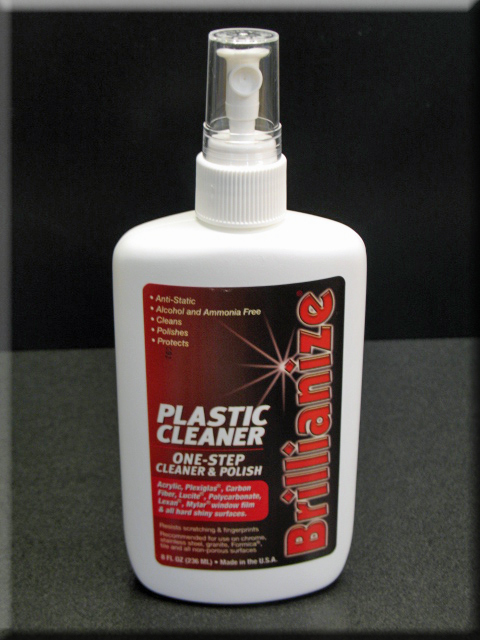 Brillianize also covers a wide range of other uses than just acrylic and plastic materials.